What our backyard doesn’t have often is a whole lot of personality. Sure, it’s laid out well and we love being back there, but that doesn’t mean we don’t look around occasionally and wish there were a few pieces around the bushes, trees, and walkways that brightened the place up a little or added some colour. 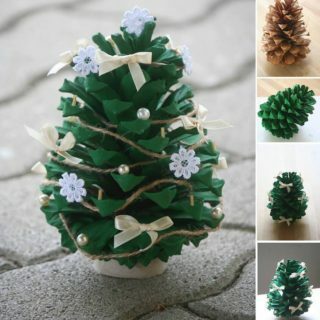 That’s how we got to searching for DIY tree decor! 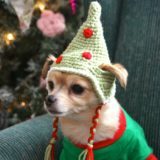 Just in case you’re as intrigued and enthused by the idea of using your DIY skills to decorate the trees in your yard as we were, if not more, here are 15 of the best tutorials, designs, and ideas we’ve come across so far to do just that! On the average day, we actually don’t really mind that our yard isn’t particularly decorated during the day. The regular leaves and blossoms that are already growing there naturally do the trick for us and we’re quite pleased about that! Once night falls, however, we find that the plain darkness while we sit on the patio to enjoy a warm evening is a little bit lacking in mood. 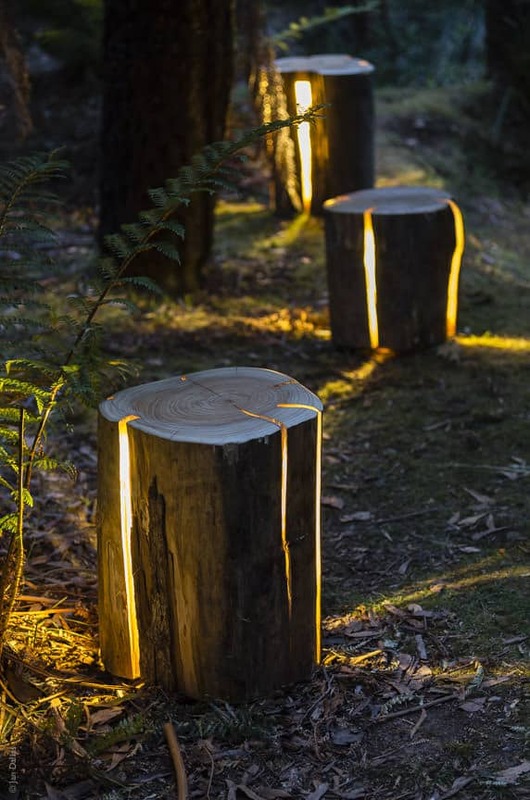 That’s why we thought these awesome light up tree stumps created by DIY n’ Home were such fantastically appealing idea! 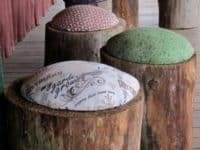 Did we really catch your attention when we started talking about decorative tree stumps scattered about the back yard but you’d rather create something that adds a little bit of colour to the space rather than something that adds any light? Then perhaps you’d prefer this awesomely creative and wonderfully colourful mosaic tree stump idea featured on Astute Homestead! 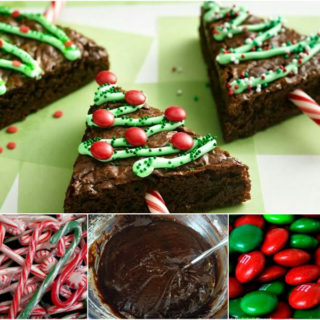 Check out how they mix their setting medium, collect their pieces, and arrange everything just so. 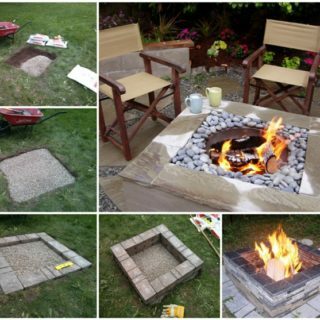 Perhaps the reason you’re hoping to add some personality to your backyard is that you’re hosting a special occasion this summer that’s sure to go on into the evening and you’d really like to transform the space into something unique and magical looking? Then we’d absolutely suggest taking a look at how DIY n’ Home used strings of lovely fairy lights to wrap around their tree trunks and hang from their branches! 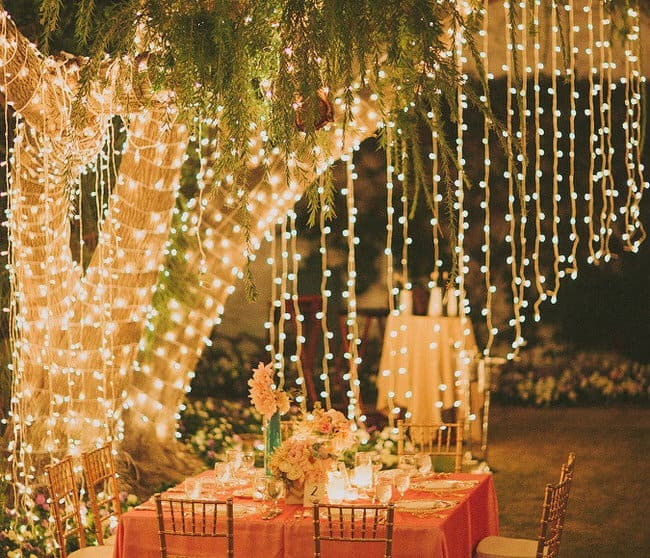 Whether you’re setting us a dinner scape like the one you see above or just trying to create a bit of a wonderland for people to sit in, we have a feeling you’ll have a hard time not leaving this idea up all summer, just like we did last year. 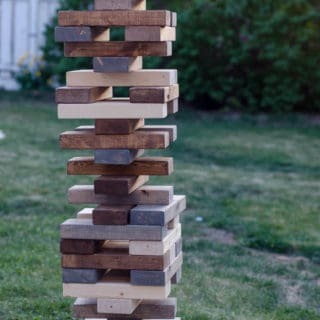 In your household, is it actually your kids who have decided that your backyard could use a little bit of work when it comes to decor and personality? 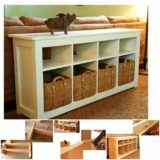 Then perhaps it’s time to take on a project that will transform your regular old trees into a fun haven for your kids’ imaginary games! 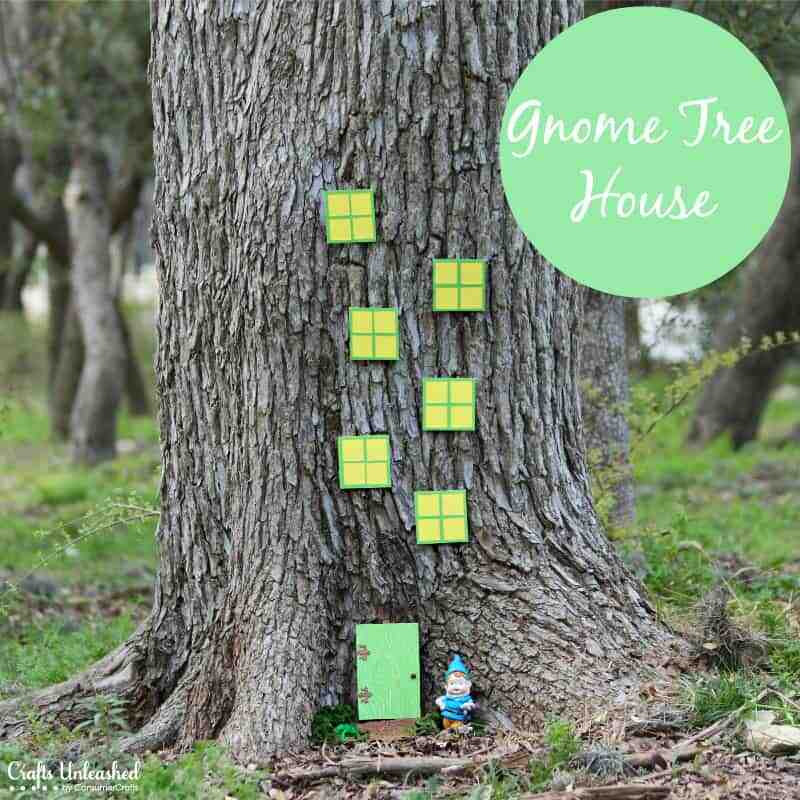 We absolutely adore the way Crafts Unleashed made a little door and some windows to stick on a tree trunk and turn the tree into a home for elves and garden gnomes. 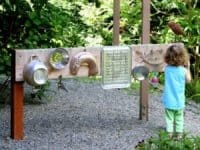 If you’re going to get decorative with your yard would you rather do it in a way that’s really interactive for your kids? 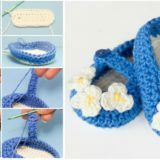 In that case, we’d definitely suggest making something that they can both help you create during the crafting process and that they can use or play with once it’s done. 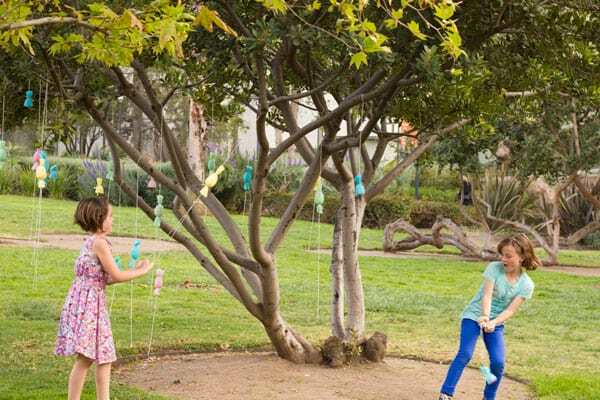 We’re huge fans of these funny little tree hanging candy poppers featured on Studio DIY because they look neat dangling from the branches as though you grew a candy tree, but our kids also have a blast breaking them apart and eating the goodies inside together. 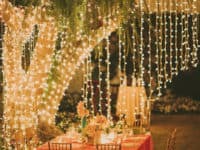 Are you actually still thinking about how much you liked the idea of making a backyard lighting option for those warm summer nights where you want to sit out and catch up with loved ones, but you’re just not sure that you’re up to the challenge or carving out a light up tree stump or scaling the trees in your yard to wrap them in fairy lights? 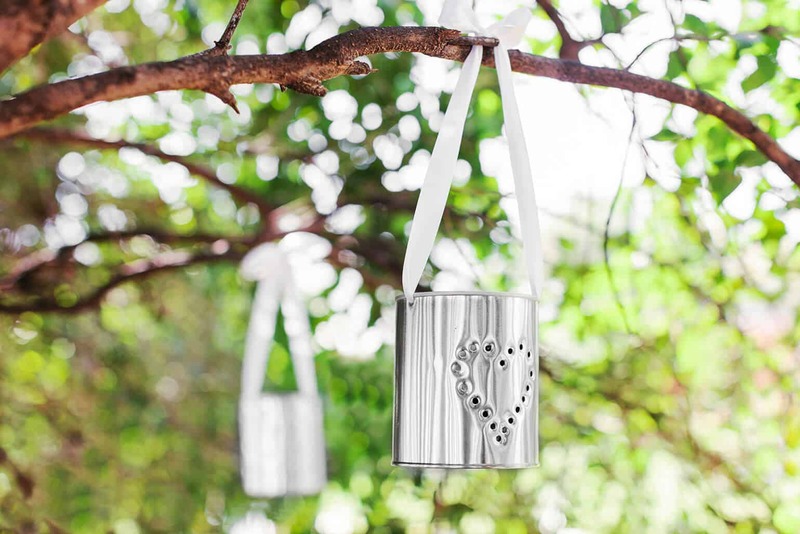 In that case, perhaps you’d prefer this simpler heart punched luminary idea featured on Off! 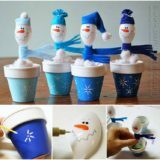 They show you how to transform and string up a tin can so you can safely hang tea lights around your yard for a comfortable evening glow. 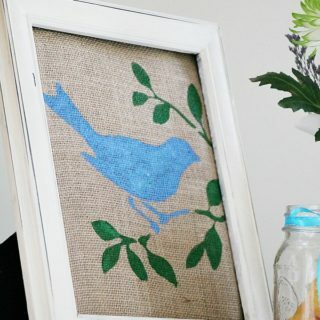 This particular idea from Hometalk might not be the most impressive or decorative looking idea on this list but, if we’re being totally honest with you, it actually might be our favourite idea of the whole bunch! 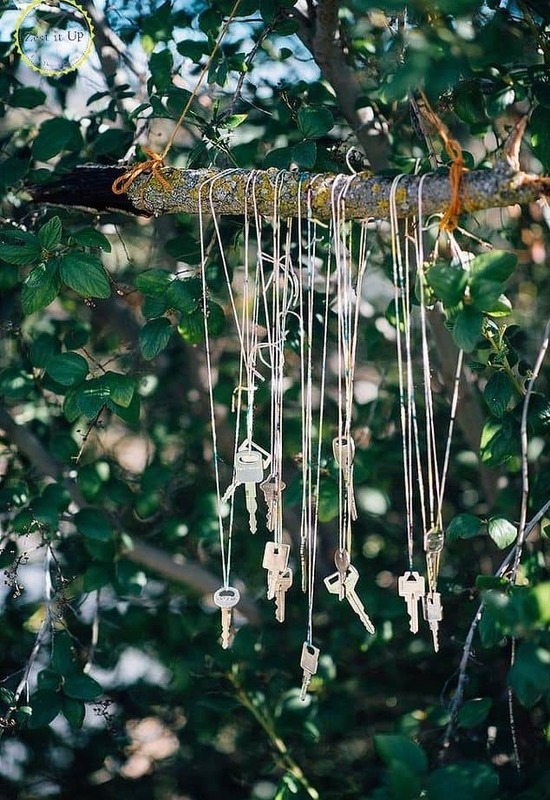 They show you how to string spare keys to a tree branch so they tinkle in the wind like an upcycled set of wind chimes, making the whole yard feel relaxing and spa-like. 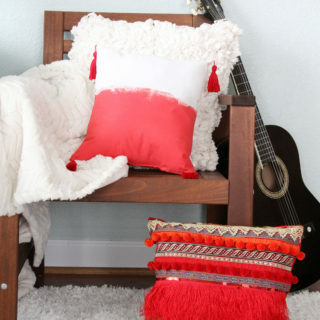 We actually also really like the clearly DIY way the hanging keys look too! 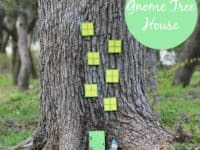 Well, we know that we said this post would concentrate primarily on tree decor and this particular idea isn’t actually affixed to the trees in the photo, but that doesn’t mean you couldn’t still use this awesome “sound wall” idea from Fun at Home With Kids to turn your trees into a game space for the kids! We love they way they’ve upcycled old kitchenwares into bang-able noise makers and we could absolutely see this same idea working if you hang the new “instruments” from the lowest branches rather than nailing them to a board like you see here. 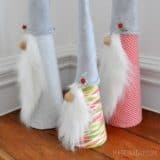 Have you actually been scrolling through our list still thinking about the idea where we showed you how to make a cute garden gnome home at the base of the tree, but you know that your kids are total sticklers for detail and authenticity? 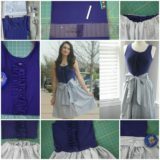 Then it makes sense that you’d want to make something that looks as real as possible, even if it’s just for playing pretend! 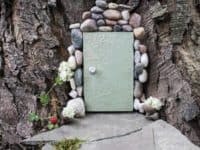 In that case, we’d absolutely suggest taking a look at how DIY Network created a cute little fairy door and home entrance with a patio using stones, acorn caps, and flowers. 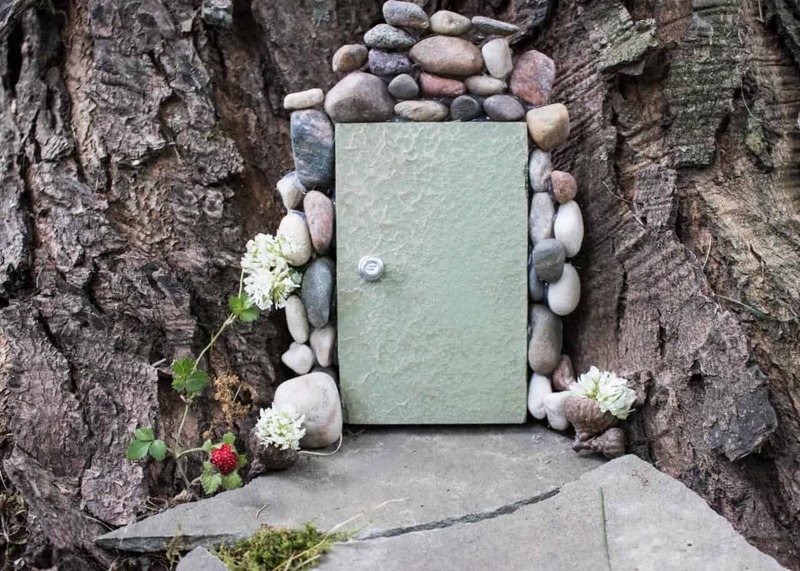 This idea really does look like you could open up the door and encounter a little woodland fairy going about her day inside the tree! 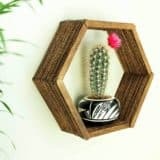 Are you actually still scrolling through our list and thinking about how much you thoroughly enjoyed the idea of making something fun from a tree stump, but you’ve been hoping for alternatives because none of the ideas we’ve shown you so far has quite taken your fancy enough to actually try it out? 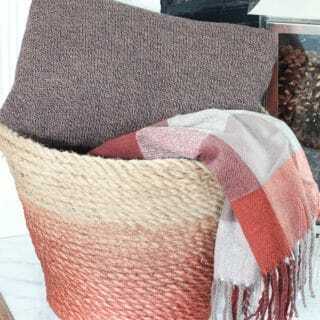 Maybe you’d actually just prefer a stump seating option that’s a little comfier than what you’ve seen so far, so you’ve been holding out on making a decision. 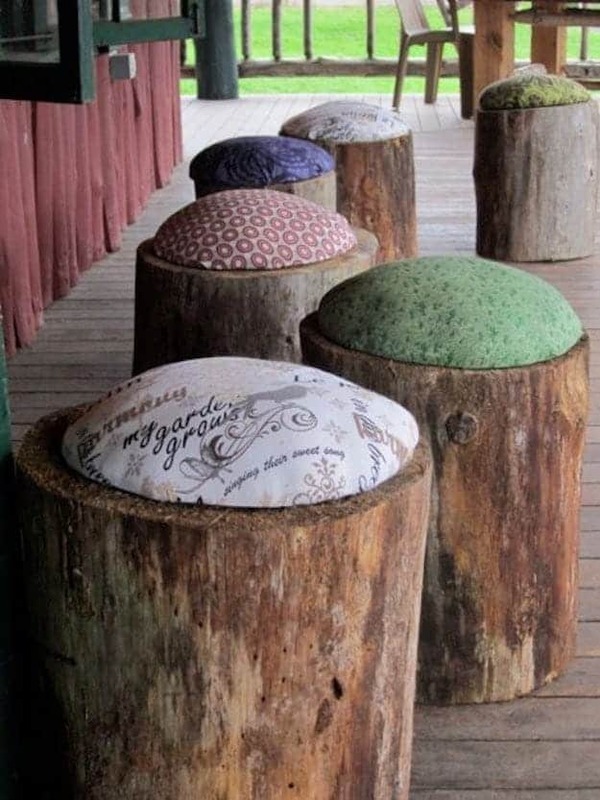 Either way, these cushion topped stump seats make a great alternative to the other options we’ve shown you! 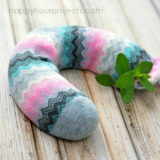 Check out a full tutorial for making them on H&A Happenings. 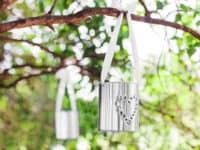 Once again, we understand that this isn’t necessarily the kind of decorative option we began talking about at the beginning of the post, but it does in fact hang from the trees in your backyard and let you enjoy them in the summer, so we simply couldn’t resist including it on our list anyways! 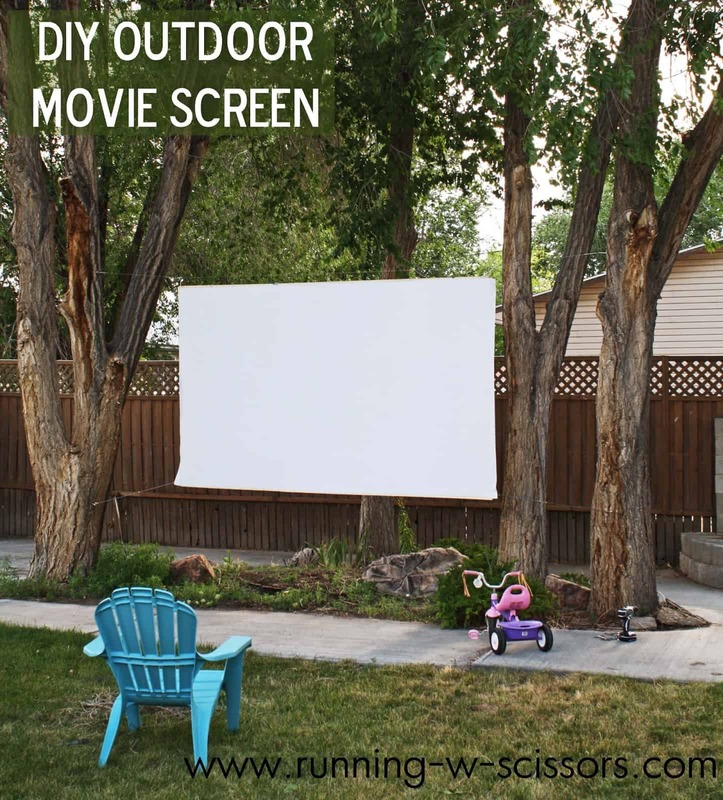 Check out how Running With Scissors attached a large white sheet on wires to their trees to create a huge outdoor movie screen that’s perfect for watching movies with your family on a warm evening. 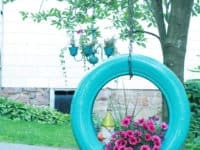 Do you have an old tire swing that your kids used to use avidly but that they’ve outgrown now, so it has mostly just been hanging around in the three these days without doing much swinging? 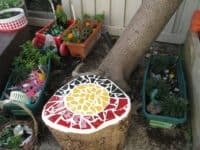 Well, rather than just leaving it there on its own or taking it down all together, why not repurpose it into something cheerful and colourful so that everyone who visits your yard can keep on enjoying it, just in a new way? 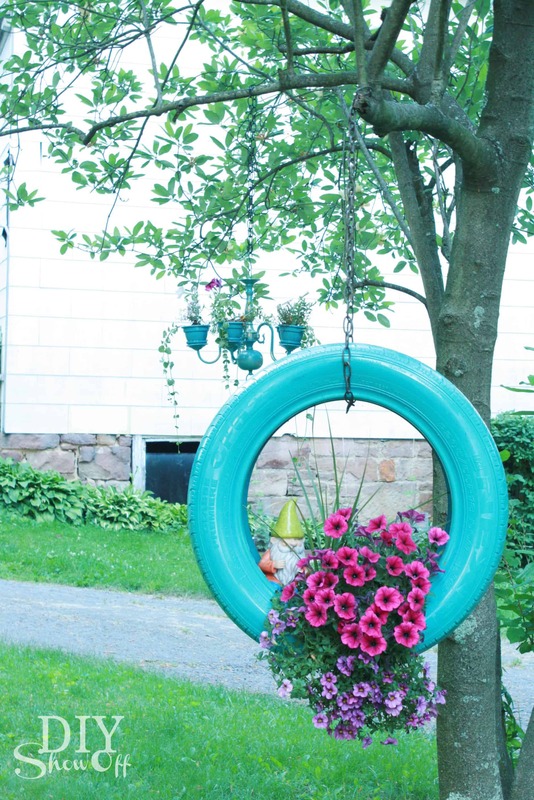 Take a look at how DIY Showoff painted their tire and hung it vertically, filling the inside hollow with a healthy helping of cascading flowers in beautiful summer colours.